DYNAMIC FORCES® - SUPERANNUATED MAN #1 CGC GRADED 9.8! 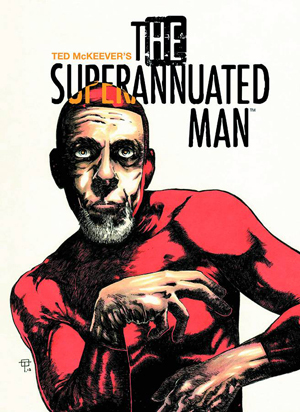 SUPERANNUATED MAN #1 CGC GRADED 9.8! From the critically acclaimed creator of MINIATURE JESUS. By the time most people realized it, they were no longer in charge of the world we know. In an unspecified future, the small seaside town of Blackwater has now been taken over by advanced and mutated animals. Most of the humans that lived there are now either dead or gone, but one old-man remains, scavenging off the scraps and refuse of humanity's past, and doggedly defying the new tenants.